The Timeless from Ride has been updated this year and with a continued focus on performance driven design. 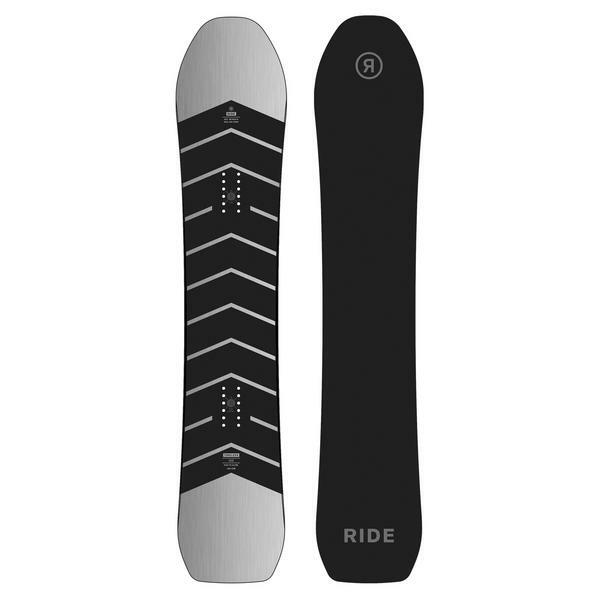 The flex has been tweaked on this high-end freeride board to make it slightly more forgiving, but without the sacrifice of board responses. The aluminum topsheet makes the Timeless charge like it's on rails, giving it a smooth ride that will have you laying down turns on fresh groomers or effortlessly powering through that mid-day chop. The sintered Race Base is carbon-infused for a damage resistant base that will ensure you have the fastest board on the mountain. The vibration-killing Silencer 5 is combined with our Carbon Array 5 to make sure this board will maintain stability at speed. The Timeless combines stability and control to give you a board with no speed limit. The only thing that will slow this board down is your fear of death. The Ride Timeless offers a true size, meaning the longer the board the width the waist width, 158cm is a mid-wide and the 162cm and 167cm are a wide. Base Graphics May Vary.